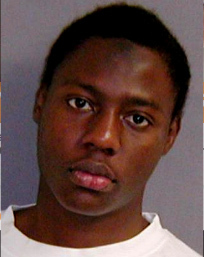 By now, I am sure most people are privy to the raging public debate on racial profiling, reignited courtesy of a young Nigerian Muslim male's attempt to detonate an incendiary device aboard a Detroit-bound Northwest flight last Christmas. After Umar Farouk Abdulmutallab slipped by airport security only to be stopped thanks to the vigilance of fellow passengers, a debate on the effectiveness of airport security and counter-terrorism intelligence is no doubt in order. But trying to fix a problem without actually fixing the problem is misguided. Trying to fix it by introducing a new problem is dumb. This guy seemed to have left every clue short of raise his hand and proclaim, "Arrest me, I am a terrorist!" Can someone explain to me how he managed to purchase a one way ticket, pay for it in cash, board the plane with no luggage, have his own father report him as a radicalized threat to a CIA base in Nigeria, be denied a visa to the UK where he previously lived and worked, and on top of that be on an active US terror watch list for two years, yet still not be flagged by the system as a security threat? And can someone explain to me how after those six glaring red flags were missed - not to mention the explosive material in his underwear - the debate today is not about why and how they were missed, but about whether he could have been flagged for being of a certain skin color, hair texture, place of birth, faith, or namesake? The racial profiling argument is lazy and unimaginative; most of all it is irresponsible because it evades the real problem starring us in the face: a fatal breakdown in communication between our intelligence units. Ironically, this is a problem so troubling that an entire new department, the National Homeland Security Department, was created with the sole mission to address it. Make no mistake about it; it is hardly ever a case of not having the necessary Intelligence. Even in the case of the 9/11 hijackers, we had security files on each of the 19 hijackers. The problem is in our repeated failure to act upon intelligence between our fingertips in a timely manner. Introducing new and untested wild card measures will not correct what's failing, though the debate makes for a convenient distraction from bearing responsibility. The idea that there are some racial profiles we need to check out thoroughly in order to conclusively determine that they do not have bombs on them is not what troubles me most. What truly troubles me is the corollary of that idea: that we know of a way to conclusively determine whether someone has a bomb on them or not but we are going to exempt most people from it because we do not deem them suspicious enough, or we do not have the resources for it. How is that supposed to make us feel safer? There is nothing comforting about a de facto admission by security officials that our primary airport security lines are a prop up and that secondary ones are where it's really at. So, what's the point of primary security? Placebo? Clearly, what will make us safer is beefing up our primary security measures so that they actually do what they are supposed to do for the entire population (conclusively determine that no bombs or explosive material makes it through). It certainly isn't adding a secondary layer that, by design, most passengers will end up skipping. As good as that layer may be it won't be good enough, given that it is only partially applied to the passenger population. To begin with the notion that any security analyst will tell you that if we have a national security defense system that waits until an airport security gate to identify terrorists, then it's only a matter of time before it's good night and good luck. But even at security gates, our last-guard measures need to be scientific and objective, like improving bomb detecting machines; you know, the ones that didn't beep when dynamite underpants stepped through. Objective and scientific measures however do not include part-timers eyeballing passengers for people who look like characters out of Disney's Aladdin or whatever image their mind conjures of what a terror suspect looks like that day of the week. So what do they look like? Presumably we are talking about Muslim men, but short of Muslims wearing green arm bands, what does that really mean? Any Middle-Eastern looking person with an exotic sounding name? Fine, this may work, provided we can count on Middle-Eastern terrorists with exotic sounding names being unaware of our little precautionary measure. Nobody tell them. As for non-terrorists who fit that profile (which would unfortunately include Jesus himself should he come back and try to enter the United States with his real name Yeshua Bin Yosef), get ready to take one for the team. An African looking person with an exotic sounding name? Well, fortunately for Barack Obama, he does not work for say Microsoft or Motorola, instead of the White House, otherwise he'd be spending his days at airports. But never mind the absurdity in a system that is unfriendly to people who look like our president and Jesus, here's the real problem with racial profiling: it is ineffective. There are two main reasons for that, the first is scientific as concluded by what few studies on racial profiling have taken place. Think about it, the purpose of security checkpoints is to prevent future terror attacks not past ones. If it is future ones, then should we limit ourselves to what did happen or would it make more sense to address the possibilities of what could happen? Racial profiling is an elusive game, and Al Qaeda can always racially profile too. This is not a probability game, one improbable situation is enough to do the damage we hope to prevent. Do we really want a system where we are always one step behind? Say we do go for the bearded brown guy, Al Qaeda will send a clean-shaven black one next. Oh wait, they already did; in fact, one that looks like your average all-state American high school athlete. Will that now be the next profile to look out for? And when we've flagged all Middle-Eastern and Black men with exotic names, they are going to send a white British guy with an Anglo name like Richard Reid. Oh wait, they already did that. And after they send a Russian recruit and a Chinese one and we start profiling all men of all races, they'll recruit a woman. Oh wait, there were two cases of women blowing up Russian airliners in 2004. At this rate, the only profile that won't be racially profiled is that Scandinavian grandmother everyone keeps talking about. Of course, after billions are spent and humanity inconvenienced to no avail, we could always go back to actually acting upon hard intelligence and actually detecting bomb material at airports. Or, we could do that now.